Product prices and availability are accurate as of 2019-04-24 18:24:34 EDT and are subject to change. Any price and availability information displayed on http://www.amazon.com/ at the time of purchase will apply to the purchase of this product. The Flowering Ash tree grows 40 to 50 feet tall. 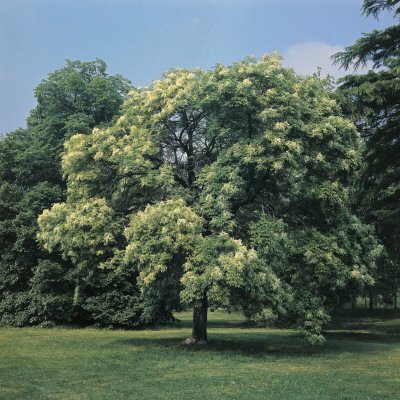 This popular Ash tree; hence its name, produces beautiful showy, fragrant flowers in mid to late June. A beautiful tree that has been popular in European gardens for many years. Other Names: Manna Ash, South European Flowering Ash Landscape use: Lawn, shade, streets, parks, campuses Soil Type: Prefers moist, deep, fertile soils. Zones: 5 to 7 Germination Range: 50-70% Stratification Requirement: 30 days of warm stratification at 60 degrees, followed by 90 to 120 days of cold moist stratification.